Reya is being a good girl waiting for her Wild Calling! breakfast! Wild Calling! : What is It? Dry & Wet food from Wild Calling. Reya is a big fan of elk & duck! Personally, I think Wild Calling! is pretty impressive, especially with the companies belief in their the art of nutrition with their foods. Unlike many other brands out there, they understand that dogs are, by nature, hunters and scavengers. This means that their diet varied daily based on what they caught or found lying around, and they rarely ate the same thing every day. In other words, they didn’t hunt for many of the same things since they get bored with food, just like us! For this reason, each of Wild Calling’s foods is designed to be rotated with other foods in their lineup. By rotating your dog’s food, you are giving them several high quality proteins that not only keep your dog from getting bored, but meet all their nutritional needs. As well, they believe that a dog’s diet should be rich in meat and other proteins to help support healthy muscle growth, increased energy, and an overall healthy dog at different life stages. 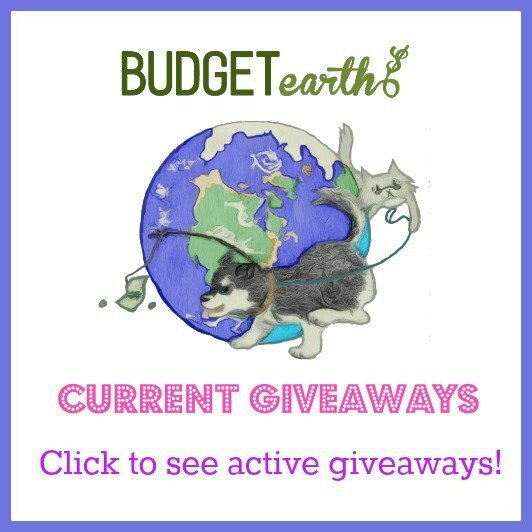 What also make their food pretty unique and amazing for every do is GlycoEdge, which is designed to prove your dog with consistent energy and a low glycemic index diet. This part of their formula is from tapioca, sweet potatoes, and lentils. Overall, their food is designed with the “science” of the beauty and the love we have for our pets, which is what they call the “Art of Nutrition.” To learn more about it, check out the brochure below. We found it to be very educational! Someone has been eagerly waiting to tear into her dry food from Wild Calling! Overall, I have to say everyone in our household is very happy with this food. Mom and Dad both are happy that this food is all natural and that the GlycoEdge seems to be helping Reya be filled with energy throughout the day. While we care a great deal about the quality and nutritional value of the food, Reya cares about one thing and one thing only – does it taste good? 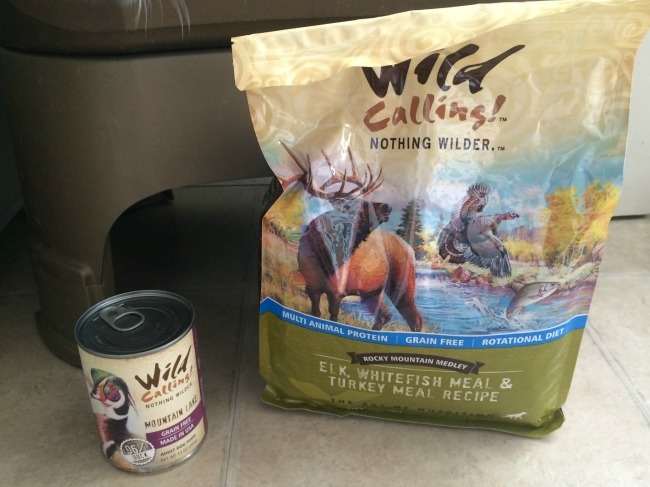 Well, it didn’t take long for us to determine that she LOVED Wild Calling!’s dry food and wet food. Normally Reya isn’t a big fan of wet food at all but was happy to eat half the can as a treat. 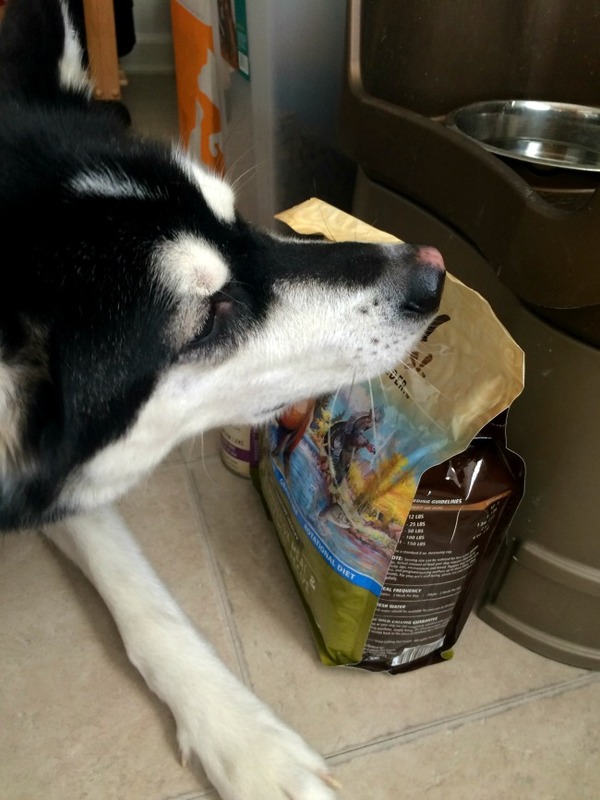 The dry food, however, was the big highlight to Reya. For the first time in awhile she was once again looking forward to meal time and was cleaning the dish each time. With how much she loves this food, we call it a big win! Based on our own experience, we are happy to give Wild Calling! an A rating and can see their art of nutrition theory being the best possible for dogs like our Reya! Mom, I am trying to eat in peace! Let me enjoy my Wild Calling! Want to buy some of this awesome food for your own dog? To learn more about Wild Calling! & see where you can purchase their food, make sure to check out their website. 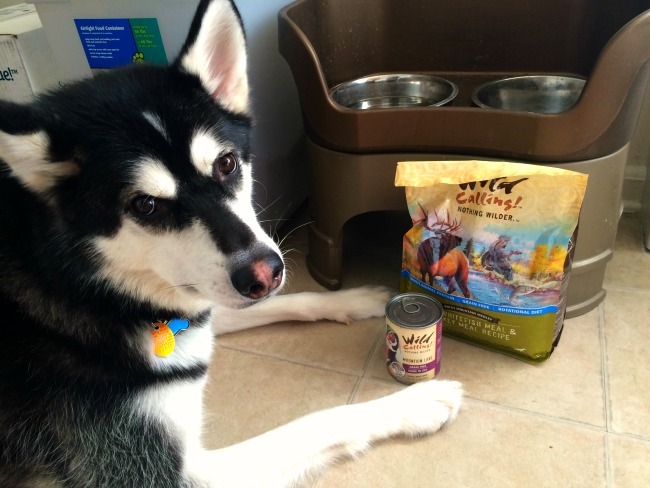 We are certain that your dog will love Wild Calling! just as much as our Reya! Also, don’t forget to check out the awesome brochure provided below with lots of helpful information about this all natural dog food! Reya gives this food a 4 paw rating since its so yummy! You can also find them on the following social media channels! Disclosure: Budget Earth did receive monetary compensation as well as products for descriptive purposes. All opinions on this product are my own and may differ from our readers’ opinions. Natural foods are so amazing for dogs with allergies! My mom’s yorkie, Molly, had many of the same issues! I haven’t heard of Wild Calling dog food before. It sounds like it would be a wonderful option for our dog, Mickey. We are always looking for healthier choices for him. Thanks for sharing! Not only are the ingredients great, but, I love that this is a family owned company that is operated in the US! After reading this I decided I need to try this food for my Joyous. She has allergies to most things and this sounds right up her alley. I have never heard of this brand before, but I loved everything you said about it. The ingredient list looks amazing and I love that it is made in the USA. I love my dog and would do anything for him! I don’t have a pet but this does sound like a good choice. Natural, healthy ingredients. 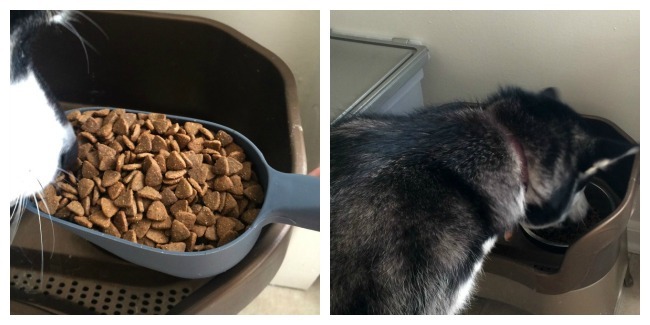 You lucked out with a pet that prefers dry food. Canned can be quite expensive. Thank you for the review. My pets are my babies too and I want them to be healthy and live forever. This is the first review I have ever seen on this particular pet food (except for the maker’s web) and I like that it was tried and review. Thanks for the important info and I am always on the lookout for American made products. wow! they are loving this product, Its so hard to find a good healthy food product that your dog or cat is really going to enjoy eating and love that its so healthy for them.. I like this. I own a dog and try to feed her with healthy food. This sounds like really good dog food. If I had a dog I would have them try this. Looks good. Some of my friends who are into professional sports, eat dogfood as it’s more healthy. I do not have a dog but have two cats and they have this brand of food for cats. my cats love it. We haven’t tried the kitty one for our cat, Lucie, but I will have to look into it! Their food is amazing! Ooo… I don’t personally have a dog or cat, but my friends and neighbours would definitely appreciate knowing about this brand! Do they have samples on the wet food or dry? i actually am planning on trying to switch my dogs food. we have four dogs. one is very old and one is just over a year. My yorkie does not like wet food but she will drink the juices. I was curious if maybe she would eat wild calling wet. the only issue would be price. I could just buy this for my two younger ones and the two older ones get something else. I just have to get them off the Beneful. I keep seeing stuff about the dog food being bad. So far searches say it is a hoax. But I am still a bit worried. This looks like a good dog food. I’ll tell my child, who owns two dogs. Wild Calling sounds like it’s a healthy product for dogs made in the US! what a beautiful dog you have. I will have to let my parents know about this brand they have 3 small dogs! Never heard of it before, but it looks amazing! This sounds like a great food for our dogs. I was surprise that we have one place we can buy it here. I think my dog would like this. 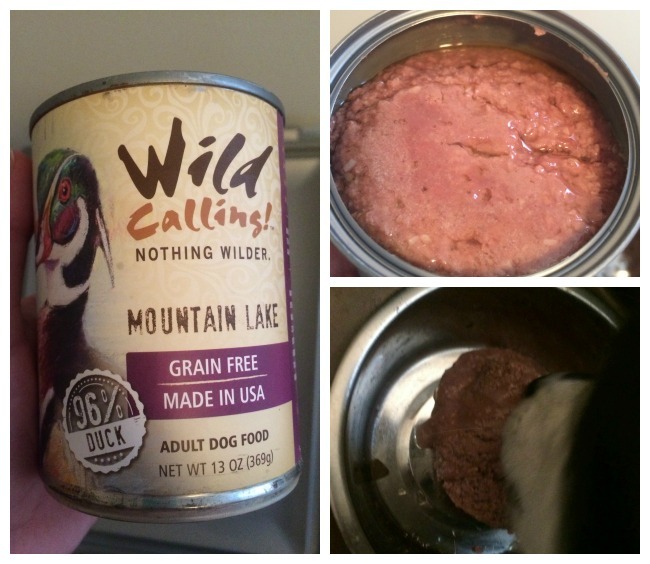 Wild Calling is full of what I want in a dog food for my fur babies and not what I don’t want! Dogs need healthy protein and not lots of fillers that lead to digestive problems! I like that Wild also contains Superfood Fruits & Veggies,Omega 3 and 6 Fatty Acids,Vitamin C& E, and Prebiotic and Probiotics. Thanks for an informative post! Thanks for sharing, it sounds like a great product. It sounds like a very healthy alternative to the traditional store bought food. My boys LOVE Wild Calling! and there is a formula for every dog or cat! We are fans! Thanks for a great review. Love that this is a family owned business based in the US! hanks for introducing me to to this brand. I love reading reviews and trying new things for that special member in our family, BOSCO our wonderful dog! Bet my dog would love it! This sounds like a good, healthy dog food. My daughter has animals, I’ll tell her about it. Healthy for the important pets in our lives. Love this review. This sounds like a wonderful product – but since I’m on disability, I can’t even afford to try it. My dog had skin allergies and cannot eat soy or yeast. I will look for this for him for something differant. My cats love grain free food. We make them homemade food with chicken, salmon and tuna and they love it. Thanks for sharing! This sounds like a very nutritional dog food. I will have to let all my friends to know about this! I haven’t heard of Wild Calling dog food before. Thank you for the info! Beautiful dog! I love hearing the details of this food. I’m always trying to figure out what kind is the best. I want to try this kind. Thanks for letting us know all about it. What an incredibly gorgeous dog!!! I would love to have one just like her. I love that they produce both wet and dry natural foods. Pets are a part of the family. We, well not me, try to eat healthy. Our pets should too. You want them around for quite a while. Sounds like it’s a great product. I will let my daughter know about it. Maybe she will want to try it with her dogs. I will give this information to my son. He just got him a puppy. Thanks for the information. We were fortunate to get several samples from this brand. Our dog LOVED them! I have never heard of it,but would love to try some for my dogs! Thanks for the information. I will pass this information on to my son. You write very good reviews. Every one that I have read has been informative and I feel comfortable trying products that you recommend. Well, not this because I don’t have any pets, but I’m saying I trust your reviews. Our dog LOVES this stuff! So glad it is healthy! There are so many brands of pet food out there to choose from. I’m sure some people buy generic to save money. That’s not a good idea. You need to read the label. I don’t own a dog but will definitely share this with my friends. I wonder if this is related to another brand. There is one called “call of the wild”, i think. It is also all natural and free of corn and other junk in consumer dog foods at supermarkets. If the animal likes it and it’s healthy, go for it. There are so many generic brands out there. Who knows what goes into them. I like that they use Antibiotic & hormone free meats. I like the large sized bags, That way you don’t have to make a store run as often. The only problem I can think of storage. I didn’t realize that animals could have food allergies. I guess it makes sense. That would be a tough problem to pinpoint.